The more snow that falls, the more that I long for Spring and Summer and to just head off to the Tropics. 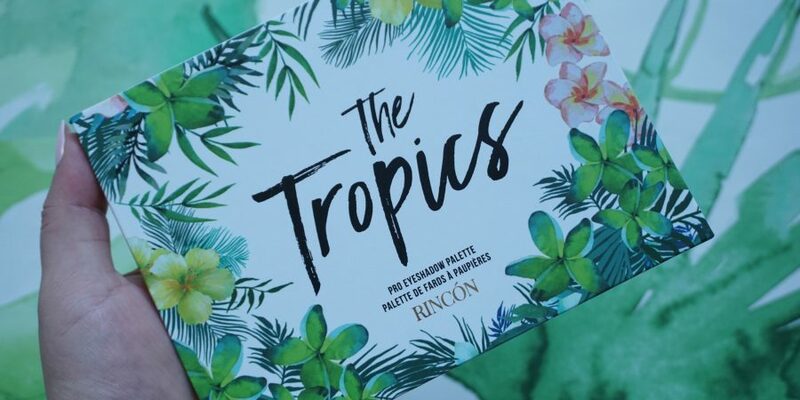 I saw The Tropics Palette from Rincon Cosmetics and though I have never tried the brand before, I thought I’d give it a try. 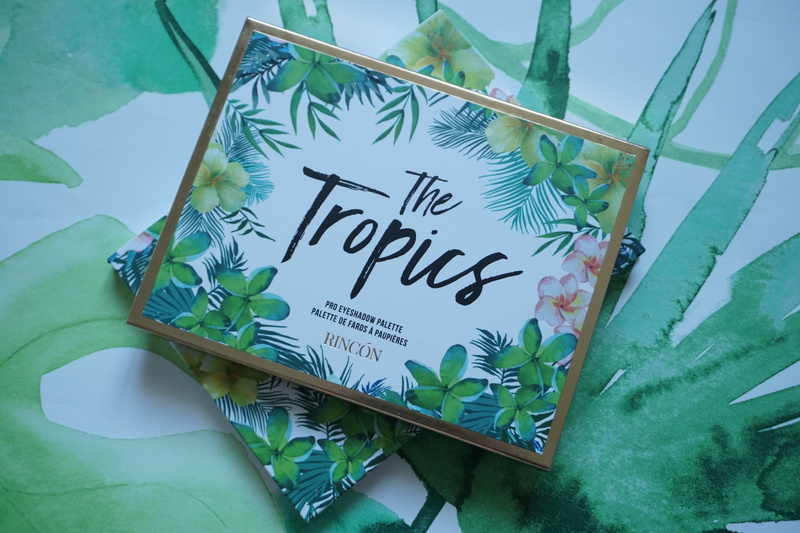 The Tropics Palette (316kr, Sale for 158kr) Such beautiful packaging of course. The outer sleeve is the same as the palette itself, just without the gold rim. 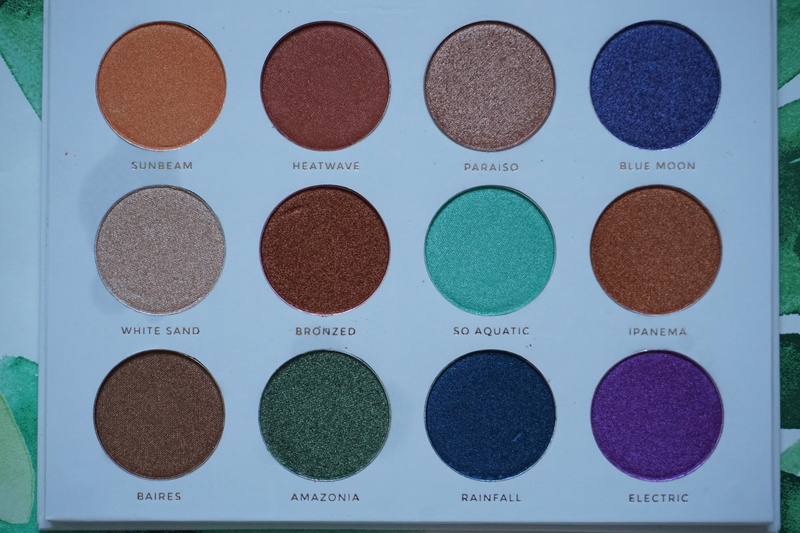 Inside, it houses 12 shadows from bonze to brighter “tropical” shades in satin, shimmer and according to the website, metallic foils. As you can see in my palette, White Sand seemed to ‘leak’? 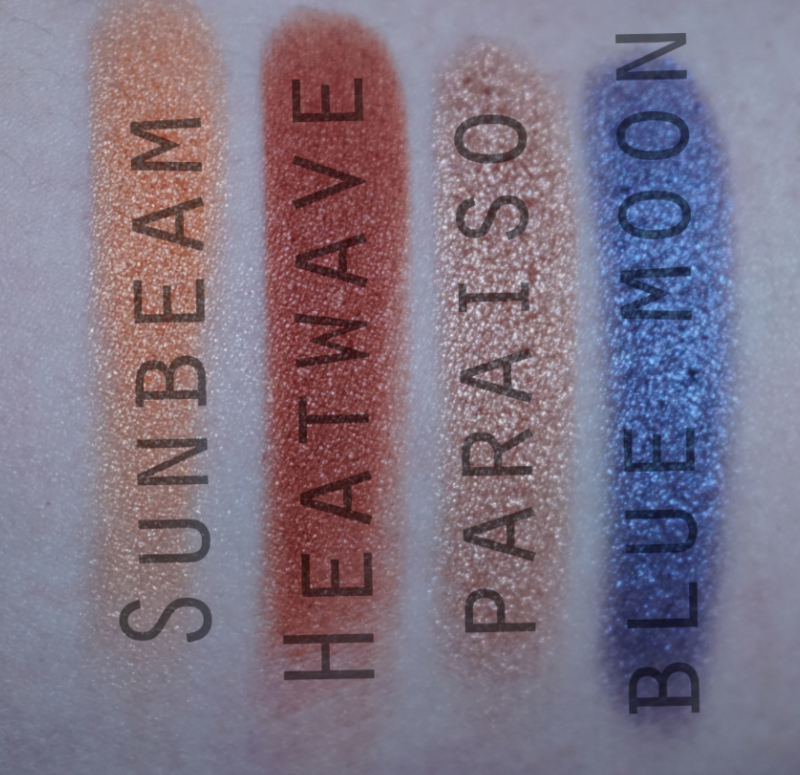 which was concerning but the overall usage of the shadow was just fine both swatched and used on my eyelids. 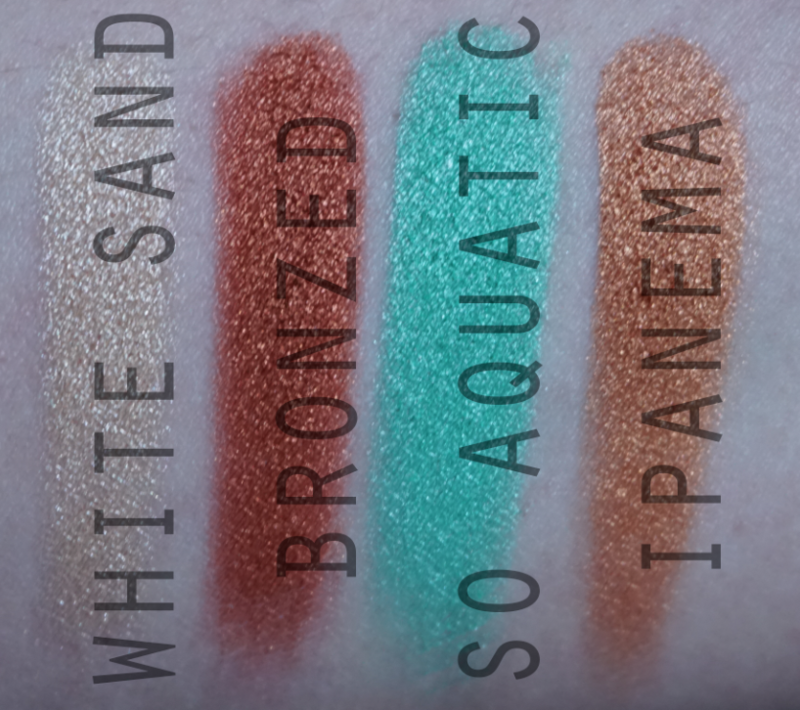 As I always do, the swatches are in daylight, 1-2 swipes with a clean finger, no primer. 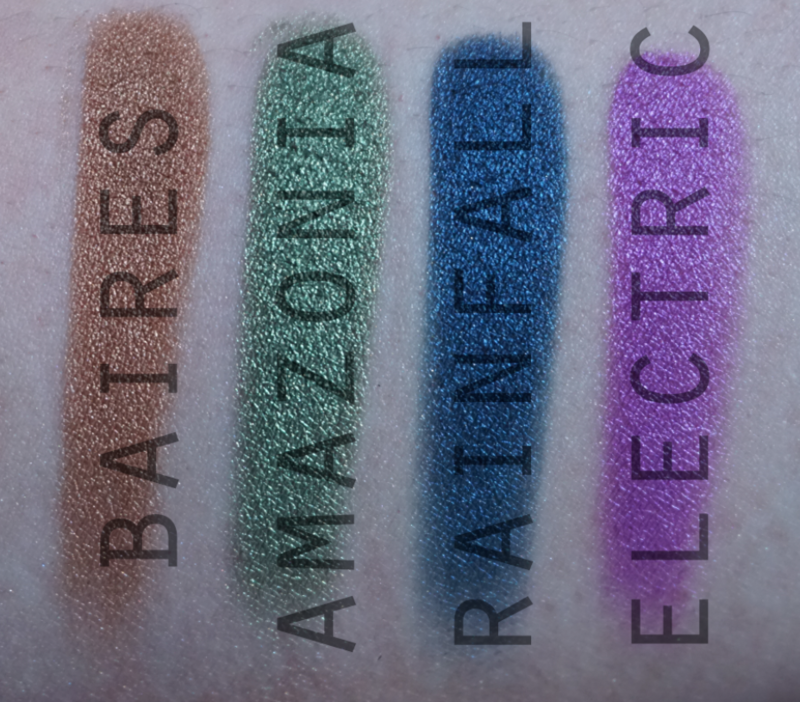 The shadows are pigmented with finger swatches but I can already say that they are not as opaque on the eyelid, even with a primer. 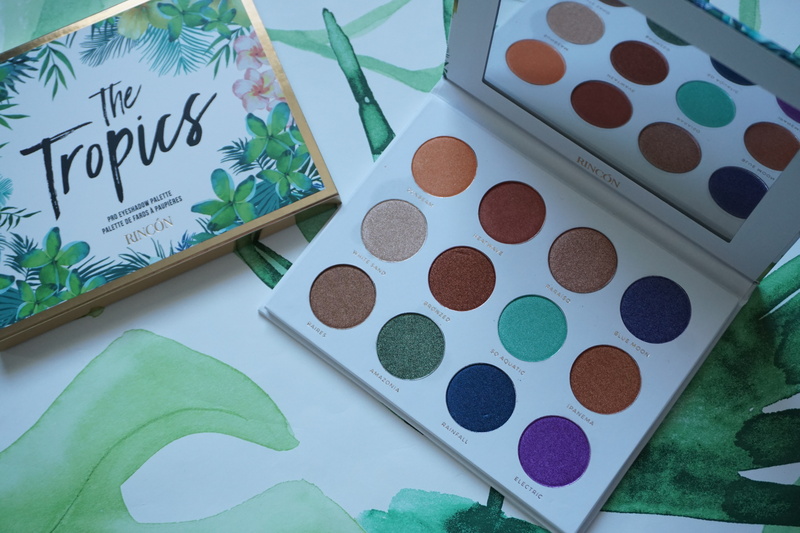 There are no mattes in this palette so I did find it difficult to transition between shadows but I still liked the mix of the more colorful shades and white sand makes for a good highlighter. For 300+kr, maybe not my absolute favorite but since it is on sale, I’m A-OK with having this one in my collection! What do you think of this palette? Would you pick it up?